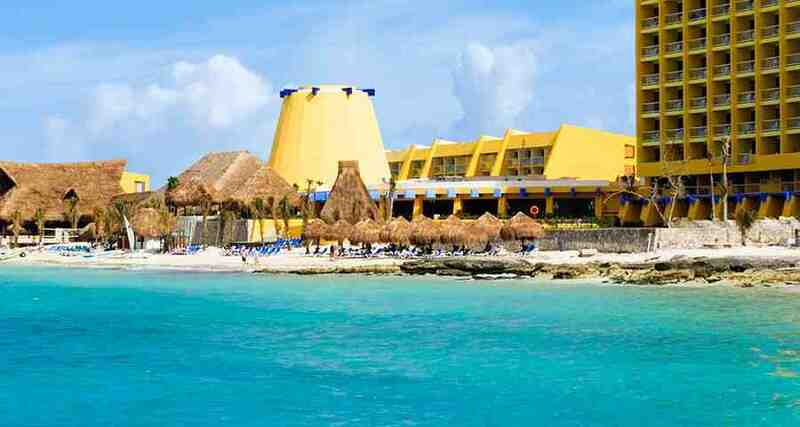 Melia Cozumel Golf All Inclusive is a 4.5* family friendly beachfront resort located in Cozumel-North Zone, Mexico. It features 140 rooms and swimming pools. All inclusive meal plans are available! The Melia Cozumel Golf All Inclusive has two outdoor pools where you can enjoy diverse water activities, along with a beautiful beach for swimming, tanning and snorkeling. The 18-hole, par 72 gold course was designed by the Nicklaus Design Group in the exotic Selva Maya area, just by the resort. The hotel's activities let you have a blast throughout your entire stay at the Melia Vacation Club Cozumel All Inclusive. Enjoy a wide variety of cuisine that you're sure to love at this Cozumel property, and spend a relaxing time at any of the bars found throughout the resort, each offering a great selection of tropical cocktails and refreshing drinks. If you're visiting on business, the Melia Vacation Club Cozumel All Inclusive has incredible meeting facilities equipped with complete audiovisual technology so you can host a successful event.